Blackwork embroidery is a counted thread embroidery thought to date from the medieval to Elizabethan period. was credited with introducing this style of needlework to England. Although the term Blackwork is used, designs were often stitched in other colours too, but usually a single colour which may have had occasional metallic or coloured accent threads. Blackwork designs are usually quite geometric in design which makes them easier to stitch on open weave fabrics. 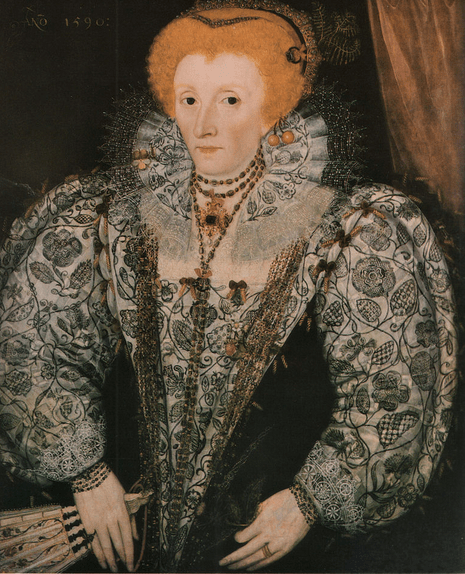 However, the Elizabethan embroideries on silk and linen were more floral, free form designs.